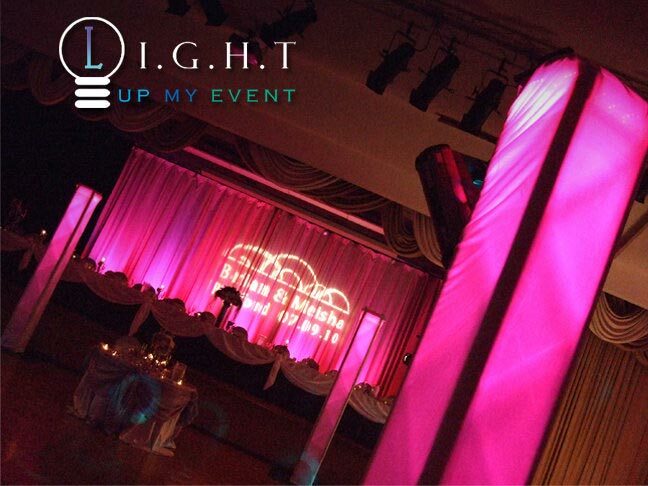 Are you looking to create a New York style or Miami vibe at your celebration? 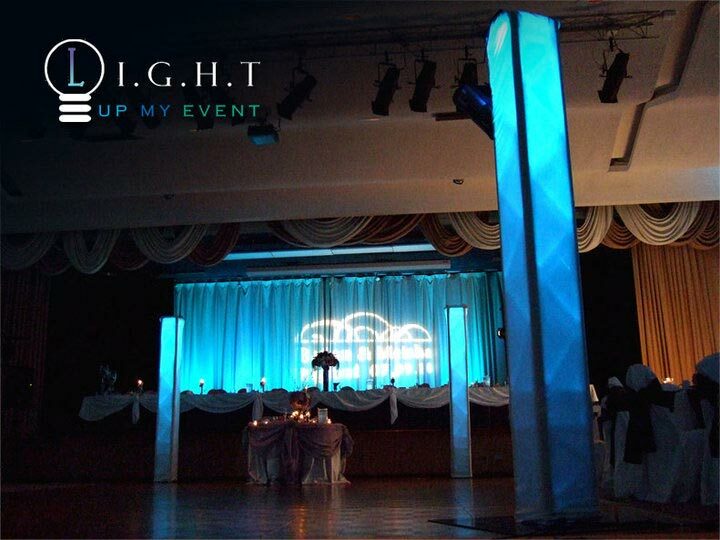 If so, then our Light Pillars would fit in perfectly with your atmosphere. This new addition is available for current and upcoming events in next year. 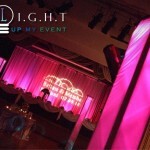 The Light Pillars are a custom lighting application created by our Light Up My Event. 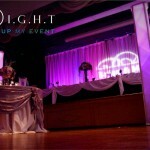 These pillars go vertical 10 feet and can be arranged along walls or around your dance floor. For your piece of mind, we mount these pillars at the base to a steel plate that is over 200lbs. 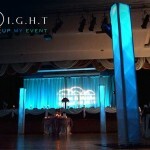 The pillars are computer controlled which means they can match your decor and change colors as the mood of your event does. The translucent white fabric allows light to pass through, while giving a sophisticated result. Look at the media below to see how quickly the Light Pillars can transform the feel of your space. 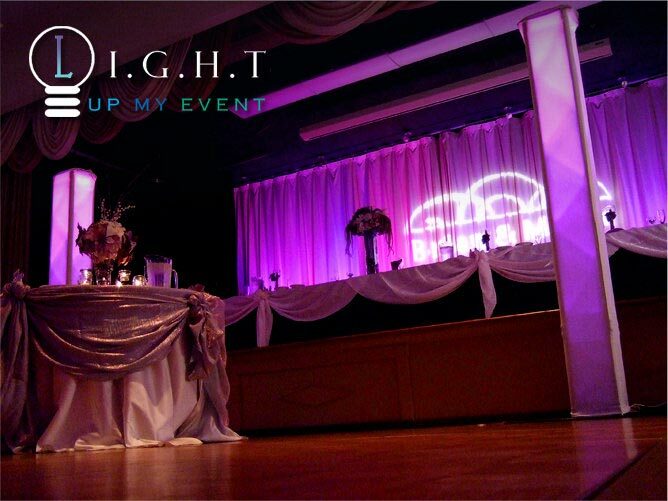 Please contact our offices by either check your dates availability above or calling 877.643.8368. There are different ways to accomplish the look you desire. Feel free to browse around the site for a variety of lighting applications. Let me know if you have any further questions, thanks Fatemeh. It is a newer trend that clients are demanding. They love how it distinguishes their event as “unique”. We use gaft tape to secure the cords to the floor and prevent any liability with guests tripping. A big concern is the high center of gravity. What we connect to the truss is a 3×3 steel base plate that is EXTREMELY heavy. I’ve climb up the sides before to hang fixtures, and never had a problem with it tipping over. Awsome site! Iâ€™ve just shared it on Facebook.